Germans [німці; nimtsi]. Until 1940 the fourth-largest ethnic minority in the Ukrainian lands. Very few Germans live in Ukraine today. The Princely era. The presence of Germans in Ukraine was first recorded when Christianity was introduced in the 10th century (see Christianization of Ukraine), as merchants, members of German legations, clerics, and travelers began visiting Ukraine. At the same time that German and Ukrainian princely families established dynastic ties through marriage in the 11th and 12th century, Germans from Regensburg, Vienna, Mainz, and Lübeck founded small but discrete communities in Ukraine and engaged in commerce in the towns, particularly in Kyiv, Volodymyr-Volynskyi, and Lutsk. The presence of German merchants in Kyiv during the latter half of the 12th and in the 13th century is mentioned in the Hypatian Chronicle. A more significant influx of Germans, particularly in western Ukraine, occurred only after the Mongol invasion of Kyivan Rus’ in 1240–1 and the destruction of many towns. The princes of Galicia-Volhynia, imitating their Polish and Hungarian counterparts, invited Germans to rebuild the razed towns and develop trade and crafts by granting the Germans various privileges (eg, temporary tax exemptions), a large degree of autonomy, and the retention of their own legal system based on Magdeburg law. As early as the mid-13th century, King Danylo Romanovych invited German merchants and manufacturers to newly founded Kholm, and such centers as Volodymyr-Volynskyi, Lutsk, Lviv, Peremyshl, Sianik were settled thereafter. From 1270 to 1290, the mayors of Volodymyr-Volynskyi and Lutsk were German. During his reign (1324–40), Prince Yurii II Boleslav, in particular, promoted the settlement of Germans in Galicia. In Transcarpathia, German colonization had begun under Hungarian rule in the 12th century in the Ukrainian-Slovak ethnic borderland. In the 13th century, Levoča, Bardejov, Košice, and other towns there were founded by Germans, many of whom later resettled in Prešov, Uzhhorod, Mukachevo, Berehove, Khust, and, in the 14th century, Tiachiv, Vyshkove, and Dovhe Pole. The Hungarian kings accorded the Germans many privileges but obliged them to pay for land. The Lithuanian-Polish period. German colonization intensified after the annexation of Galicia by Poland and of Volhynia and Podilia by Lithuania. It was stimulated by the granting of Magdeburg law and other privileges by the new rulers to many western Ukrainian towns. It was in these towns that Germans first settled and played an important role. From 1352 to 1550, for example, the German burghers were so influential in Lviv that the mayor (viit) and most of the town councillors were elected from among them and official books and documents were written in German. New German settlers continually moved into Galicia’s towns. From the late 14th century, German colonization spread into the towns of Volhynia and Podilia. The first Catholic bishops of Peremyshl, Lviv, Kholm, and Kamianets-Podilskyi were German. German peasant colonization was markedly weaker. Until the 15th century it was limited to the Sian region and the Lviv region. Peasant settlements were also granted special privileges including self-government by Germanic law. Most of the colonists of this period came from Silesia. German migration into Ukraine’s towns declined in the mid-15th century, with only professionals and artisans arriving thereafter. Owing to the centuries-old German influence, many of Ukraine’s towns resembled those of central Europe architecturally and economically and in the way they were governed. Many Germanisms had entered the language of government, commerce, the crafts, the trade guilds, and construction. The influence of German colonization was so strong that Ukrainian burghers were occasionally forced out. With the decline of colonization, many Germans in Ukraine became Polonized. This process, which began in the villages and smaller, isolated towns and spread to the larger towns and cities, such as Lviv, was aided by the fact that the Germans and the Poles shared a common faith—Roman Catholicism. It led ultimately to the consolidation of Polish influence in western and Right-Bank Ukraine. Only a negligible number of Germans became Ukrainianized. In Bukovyna, German settlement was sporadic; it originated mainly in Transylvania and Galicia. After the 15th century, Germans took part in the development of the towns of Seret and Suceava and in commercial ties with Lviv. The Hetman state. A separate German group on Ukrainian soil consisted of the soldiers and officers who served in various Polish and Lithuanian military formations. During the Cossack-Polish War in particular, the Polish army employed a considerable number of German mercenaries who played a decisive role in the Battle of Berestechko (1651). In Left-Bank Ukraine and Dnieper Ukraine, German merchants and manufacturers (mainly from the Danzig region) became more numerous in the 16th and the first half of the 17th century. They leased and exploited large estates, particularly in the Korostyshiv area, and established potash and smalt factories. In the Hetman state of the 17th and 18th centuries, considerable numbers of German artisans, who worked as managers or skilled workers in factories, agricultural specialists, architects, doctors, professional soldiers, and teachers, settled in the towns and on the Cossack starshyna estates. German mercenaries were employed by hetmans Ivan Vyhovsky and Petro Doroshenko. They also served in the Russian army and in garrisons in Ukraine, particularly after the Battle of Poltava (1709). In the 18th century, German artisans, civil servants, and doctors formed permanent colonies in the cities (especially in Kyiv) of the Hetman state. Some of these colonies still existed in the 20th century. Prominent figures of German origin in Ukraine in the 17th and 18th centuries were the church leader Innokentii Gizel, the theologian and military engineer Adam Zörnikau, the architects Johann Baptist and Johann Gottfried Schädel, and the general osaul of artillery Friedrich von Königsek. Some Germans (mostly army officers) married into the Cossack starshyna, acquired estates, and settled down permanently in Ukraine, eg, the Hampfs, Lamsdorfs, Brinckens, Ritters, and Pols (Oleksander Pol was prominent in the Katerynoslav region). 1760–1914. In the second half of the 18th century, the Ukrainian territories under both Russian and Austrian rule were settled by a new wave of German colonists, as a few manufacturers and a large number of artisans responded to invitations by Polish magnates to settle in the towns of Right-Bank Ukraine and to work in various factories. Their number grew in the first half of the 19th century in Right-Bank Ukraine and Left-Bank Ukraine, particularly in the Poltava region. Large numbers of German farmers colonized the unpopulated expanses of Southern Ukraine; they were attracted by the decrees of Catherine II (1763–4) and Alexander I (1804) granting them free land, freedom of religion, local autonomy, tax exemptions for 10 to 30 years, immunity from military service, interest-free loans, and the right to buy additional land. In Left-Bank Ukraine, a few small German colonies were established—in the Chernihiv region near Borzna in 1765–7 and near Krolevets in 1770. Through special agreements in 1789–90, Mennonites settled the lands of the former Zaporozhian Host—Khortytsia Island and its vicinity near Katerynoslav. Beginning in the early 19th century, many more Germans settled in Southern Ukraine. They came mainly from the war-torn, depressed, and overpopulated rural areas of southwest Germany (Baden, Würtemberg, Alsace, Hesse, the Palatinate), West Prussia and the Danzig (now Gdańsk) area, and the Congress Kingdom of Poland. Large colonies also arose in southern Bessarabia (Akkerman county) after its annexation by Russia in 1812, and in Kherson gubernia, Katerynoslav gubernia, and Tavriia gubernia and the Tahanrih region. A few thousand Germans settled in the Kuban and the Stavropol region of Subcaucasia. 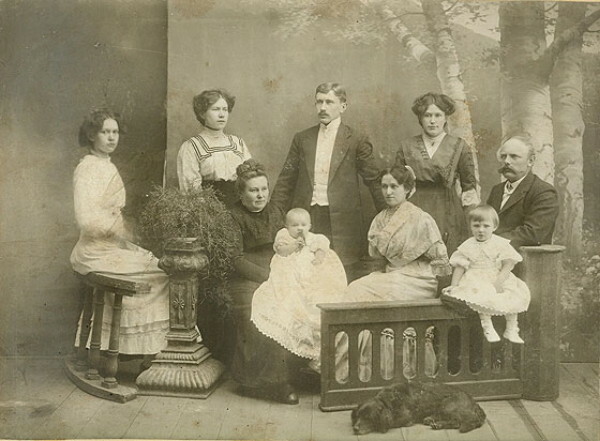 According to the 1897 census, 292,500 Germans lived in Akkerman county and in Kherson, Katerynoslav, and Tavriia gubernias (4.6 percent of these regions’ population). In 1911 German sources gave the number as 489,000 (42.6 percent Evangelicals, 36.7 percent Catholics, and 20.7 percent Mennonites). A second large group of Germans settled in Volhynia. The first settlers were Mennonites brought in by the Polish gentry towards the end of the 18th century; most later migrated to Southern Ukraine. In 1860 about 5,000 Germans lived in 35 colonies in Volhynia, and their number grew after the serfs were emancipated and the local Polish gentry began importing labor and renting or selling their land. Smaller numbers were also invited to work the land confiscated from the Poles who had participated in the Polish Insurrection of 1863–4. By 1871, 28,600 Germans lived in 139 colonies in Volhynia. The greatest influx occurred after 1883. According to the 1897 census, 171,000 Germans lived in Volhynia gubernia in over 550 villages. In 1914, their number was estimated at 241,000 (66,000 in Zhytomyr county, 53,000 in Novohrad-Volynskyi county, 43,000 in Lutsk county, 35,000 in Rivne county, 22,000 in Volodymyr-Volynskyi county, and 10,000 in Dubno county). Most came from Poland, and almost all were Evangelicals. Germans also settled in Podlachia and Kholm bordering on Volhynia. In 1914, Kholm county numbered 25,800 Germans (13.3 percent of the population) and Volodava county, 5,700 (4.7 percent). In 1914, 784,100 Germans lived in the Russian-ruled Ukrainian compact ethnic territories and composed 2 percent of their population: 430,400 lived in the gubernias of Southern Ukraine, 272,100 lived in Volhynia and the Kholm region, and 81,600 lived elsewhere. They constituted either large compact islands among the indigenous population or small settlements (colonies), or lived on farmsteads. Even when the influx abated, the German population continued to increase because of a high birth rate. The number of German colonies in Southern Ukraine grew from 384 in 1890 to 966 in 1914. Buying up increasingly more land from the gentry, the Germans owned 3.8 million desiatins by 1911, including such huge estates as that of the Falz-Fein family (200,000 desiatins). Only about a tenth of the Germans lived in towns (10,000 in Odesa in 1897). The Germans lived apart from the Ukrainians and were distinguished by their language, religion, folkways, folklore, dress, village architecture, higher economic status (especially in the south), and level of education. They had extensive rights of self-rule and settled their internal affairs democratically, choosing their own councils, teachers, and pastors. German was the official language in their colonies; these were grouped into districts, governed by central administrations in Katerynoslav (1800–22), Kishinev (1822–33), and Odesa (1833–71), which were subordinated directly to the Ministry of Internal Affairs in Saint Petersburg. The privileges granted after 1763 were abolished in 1871, and Russian became the official language in 1875. 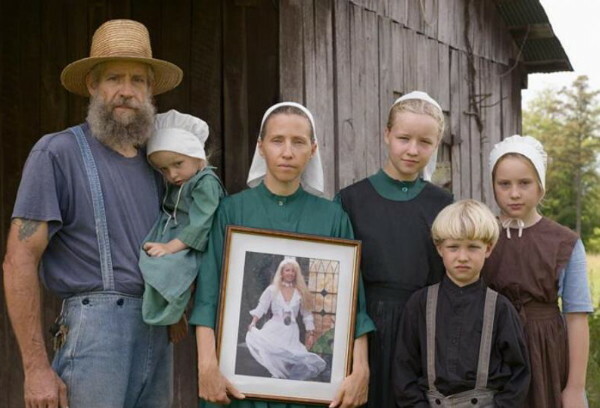 Thereafter many Germans, especially Mennonites, emigrated to the New World. The colonies were organized around the churches, which ran German-language religious primary schools. Secondary schools and teachers' seminaries also existed, with a Realschule in Odesa. After 1905 German-language private high schools were founded. The Germans also had their own philanthropic institutions, societies, hospitals, press (eg, the daily Odessauer Zeitung [1863–1914] and the Catholic daily Deutsche Rundschau [1906–14]), and publishers, particularly of almanacs and calendars. Generally the Germans maintained their national identity and language despite the lack of links with their homeland. It was only in the towns that some Russification occurred. Relations between the Ukrainians and the German colonists were limited to neighborly contacts, the adoption of sophisticated methods of German agriculture, and the hiring of Ukrainians as seasonal workers. Many Germans took part in Ukraine’s industrial development. Because of German influence, Evangelical Christians, particularly Stundists, grew in numbers among the Ukrainian population in the latter half of the 19th century. Beginning in the 19th century many scholars of German descent taught at universities and colleges in Ukraine. Among the more renowned were the physicist Nikolai Shiller (Schiller), the mathematician Heorhii Pfeiffer, the astronomer Robert Fogel (Vogel), the chemist N. Bunge, the botanists Willibald Besser, E.-R. Trautfetter, and Ivan Schmalhausen, the physiologist Alexander Walter, the medical scientists M. Dieterichs and G. Rein, the lawyer Otto Eikhelman, the economist Nikolai Bunge, the philologists I. Neukirch, F. Knauer, I. Letsius, and B. Varneke, the archeologist E. von Stern, and the art historians Fedir Schmit and Fedir Ernst. The Ukrainian poets and writers Yurii Klen and Maik Yohansen were also of German descent. Considerably fewer Germans colonized Austrian-ruled Western Ukraine. After the annexation of Galicia (1772) and Bukovyna (1774) by Austria, the Germanization policies of the new regime brought German civil servants and farmers, the latter being encouraged to settle in the eastern borderlands by patents from Maria Theresa (1774) and Joseph II (1781) that granted privileges to the Catholics and the Evangelicals through land grants and exemption from military service and taxes. Because of indigenous rural overpopulation the influx was relatively small. Of the 249 German settlements (mostly small villages or village suburbs) in Galicia at the turn of the 20th century, 134 had been founded during the reign of Joseph II. Small-scale colonization occurred until the 1840s. The German settlers in Galicia came from Baden, Württemberg, Hesse, the Palatinate, and, in the first half of the 19th century, northwestern Bohemia. They settled mostly in Subcarpathia or the Lviv region. After Galicia was granted autonomy in 1861, its administration was taken over by the Poles and the official language became Polish. Many German civil servants emigrated; others became Polonized. 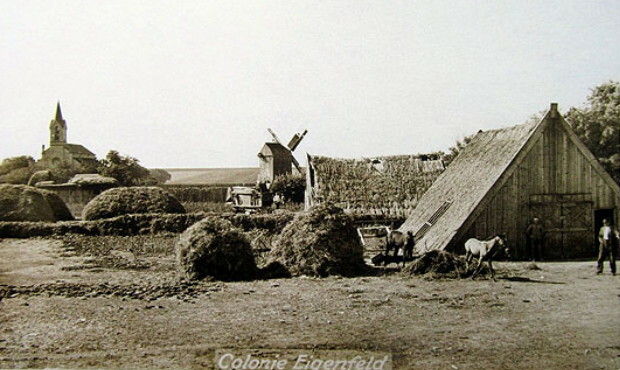 The German farming colonies, however, did not undergo major losses. In 1914 there were 47,600 Germans in Galicia (0.9 percent of the population); 5,900 of them lived in Lviv. Half were Evangelicals and half Roman Catholics. In Bukovyna, the German colonization was considerably greater than in Galicia as a result of the low population density and the poorly developed towns. Germans and Germanized Jews settled mostly in the towns, which soon acquired a German character. Because Germans held the highest government posts and German was the official language until 1918, their influence was greater than their numbers warranted. In 1910, 21,100 Germans (4.6 percent of the population) lived in the Ukrainian parts of Bukovyna. Its capital, Chernivtsi, had the largest urban concentration of Germans on Ukrainian ethnic territory and was the only ‘German’ city in Ukraine. In Transcarpathia, the old German colonies began to wane in the 16th century, and most Germans became Magyarized. An insignificant number of settlers arrived in 1723 and 1748, when the village of Pausching near Mukachevo was founded. It is the only locality in Ukraine where the descendants of the original German settlers live today. Other Germans arrived in 1765–77 and in the early 19th century. In 1914 about 6,000 Germans lived in Transcarpathia; they were mostly farmers (mainly in the vicinity of Mukachevo) or lumberjacks and foresters in the Carpathian Mountains. The First World War and the Revolution. On the eve of the First World War, 859,000 Germans (1.9 percent of the population) lived on Ukrainian soil: 784,100 in the Russian Empire and 74,700 in Austria-Hungary. During the war Germans living in the Russian Empire experienced restrictions, hostility, and even persecution. In 1915, 150,000 Germans living in Volhynia and the Kholm region were deported, mostly to Siberia, and only a fraction returned to their homes after the war. During the Ukrainian struggl for independence (1917–20), the attitude of Ukraine’s Germans to the Ukrainian National Republic and Ukrainian independence was mainly one of indifference. Even so, some high-ranking officers in the Army of the Ukrainian National Republic were of German descent (eg, Gen Serhii Delvig). Galicia’s Germans, in contrast, actively collaborated with the Western Ukrainian National Republic and had representatives in the Ukrainian National Rada; many Galician-born Germans who had been Austrian army officers joined the Ukrainian Galician Army (eg, Lt Col Alfred Bizanz, Capt Hans Koch, Gen Antin Kravs). Bukovyna’s Germans, however, openly supported its annexation by Romania and the new Romanian regime. The First World War and the years of revolutionary turmoil led to a drastic reduction in the number of Germans in Ukraine. In Southern Ukraine many German farmers were victims of pogroms by the anarchist forces of Nestor Makhno in 1919 as well as of the Famine of 1921–3; a large number fled to Germany and then emigrated to North America, while others assimilated in the towns. As a result, the German population in Ukraine’s compact territories fell from 872,000 in 1914 to 514,000 in 1926. The greatest losses occurred in Volhynia gubernia and Radomyshl county of Kyiv gubernia, where Germans decreased from 250,000 in 1914 to 108,000 in 1926; and in the Kholm region, where they fell from 35,000 to 13,000. The interwar years. According to the 1926 Soviet census, 514,000 Germans lived in the Ukrainian ethnic territories of the USSR: 394,000 (1.4 percent of the total population), of which 34,300 (8.7 percent) were urban, lived in Soviet Ukraine; 43,600 (6.1 percent) lived in the Crimea; and 80,000 lived in northern Caucasia. Ukrainian territories under Poland had 87,000 Germans (1931); those under Romania had 36,000 (1930); and those under Czechoslovakia had 13,000 (1930). In 1932, the total number of Germans on all of Ukrainian compact territory was 610,000 (1.2 percent of the total population); together with the mixed ethnic territories the number rose to 720,000 (1.3 percent of the total population). In the Ukrainian SSR in 1928–9, there were six German raions and 244 German village soviets. The Germans had their own schools (including a pedagogical institute in Odesa), publishing houses, press, and cultural institutions. During the collectivization drive of 1929–30 and the Famin-Genoide of 1932–3, the German farmers suffered enormously; many thousands were branded kulaks and were persecuted, dispossessed, and deported to Soviet Asia. Their way of life was uprooted, their churches and other institutions were shut down, and their national raions and village soviets were abolished. Finally, in the 1936–8 Stalinist terror most of the Soviet German intelligentsia (clerics, writers, teachers, scholars, doctors) perished. To save themselves, many Germans fled their villages and disappeared into the towns. In contrast to the prewar period, German organized life in interwar Western Ukraine, particularly in Volhynia (48,000 Germans in 1930), improved because many Germans established closer ties with their ancestral homeland. Germans under Polish rule co-operated with Ukrainians (eg, in the Bloc of National Minorities during elections to the Polish Senate and Sejm in 1922 and 1928). In Bukovyna, however, the Germans supported the ruling Romanian parties. The Second World War. On the basis of German-Soviet treaties (including Molotov-Ribbentrop Pact), many Germans living in Soviet-annexed Galicia, Volhynia, and the Kholm region were allowed to move to Germany after the 1939 partition of Poland. In 1940, when the USSR occupied Bukovyna and Bessarabia, the Germans living there were also repatriated. After the Soviet-German war broke out in 1941, the Soviet authorities, beginning on 21 August, deported about 100,000 Germans living in the Crimea and Left-Bank Ukraine to northern Caucasia, and thence to Kazakhstan; they did not have time, however, to deport those in Right-Bank Ukraine and in the Odesa region. During the Nazi occupation, the latter had Volksdeutscher status and numerous privileges not granted to Ukrainians. Some joined military, police, and paramilitary formations and thus became collaborators in the brutal policy of the Reichskommissariat Ukraine (see Nazi war crimes in Ukraine). This created considerable animosity between Ukrainians and Germans in Ukraine.